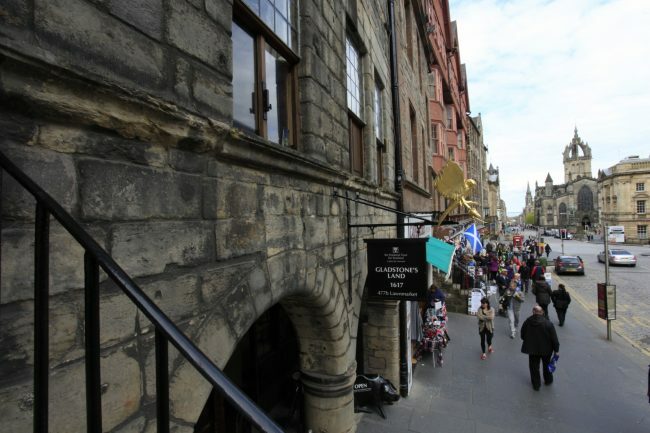 Just a stone’s throw from the castle, this 500-year-old building is a towering testament to tenement life in Edinburgh’s Old Town and was once owned by merchant Thomas Gladstone. He extended and remodelled the building to attract wealthy tenants for his opulently decorated apartments, as well as for the high-end grocer and cloth shop on the ground floor and the tavern located in the basement. By the mid-1800s, only the poorest of the city’s inhabitants remained in the Old Town. Gladstone’s Land was one of the first buildings that the National Trust for Scotland acquired, rescuing it from demolition in 1934. Today, Gladstone’s Land shows how the wealthy went about their lives at a time when the cramped Lawnmarket was at the heart of one of the world’s fastest-growing and most influential cities.